Josh grew up in Portland, Oregon and moved to Spain in 2002 to improve his Spanish. He ended up moving there permanently because he fell in love with the country's language and culture. He translated and interpreted for a while before realizing his passion for food. Josh first started cooking in his childhood, exploring spices and different ingredients. 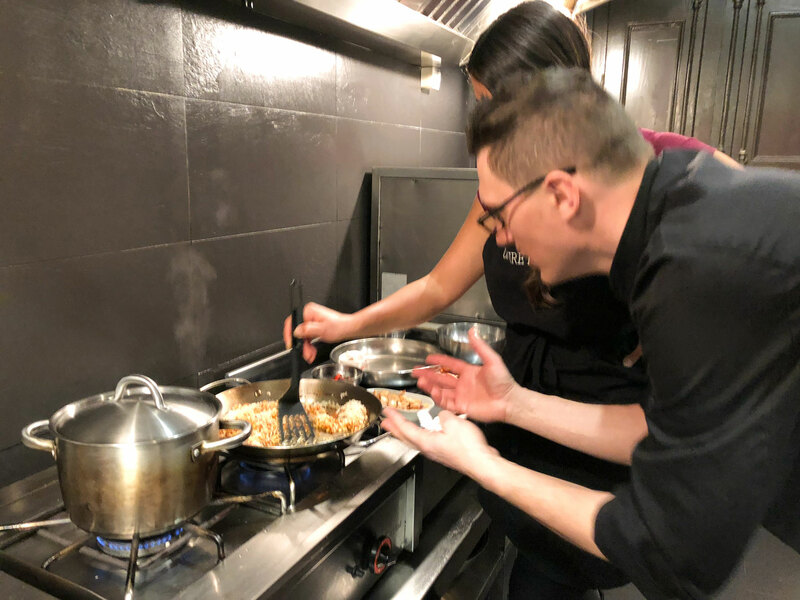 He then learned about different ways of cooking in Spain and appreciated relying on quality of ingredients to make amazing flavors. He loved the shift from depending on spices to using time and careful preparation of the best, freshest ingredients to create incredible meals. 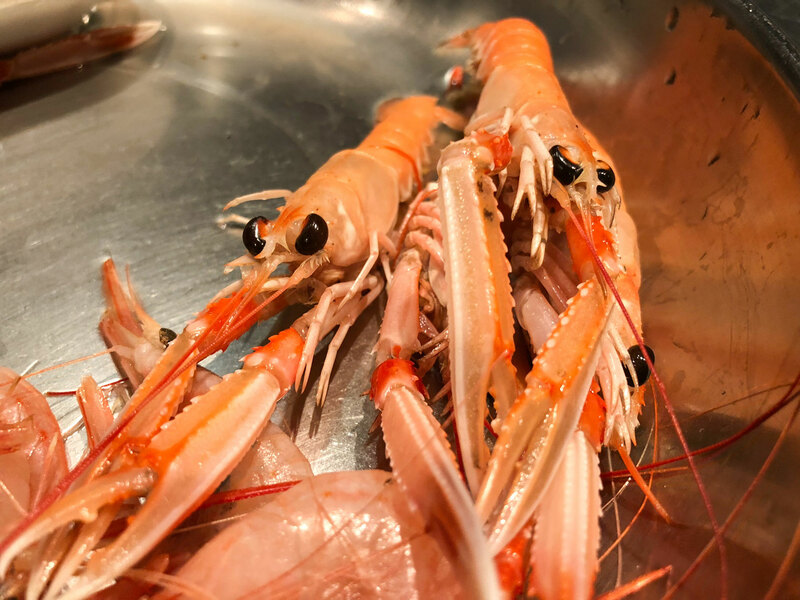 He loves the variety of fresh seafood available in Spain and learned from friends' grandmothers and fathers, learning their favorite family recipes. 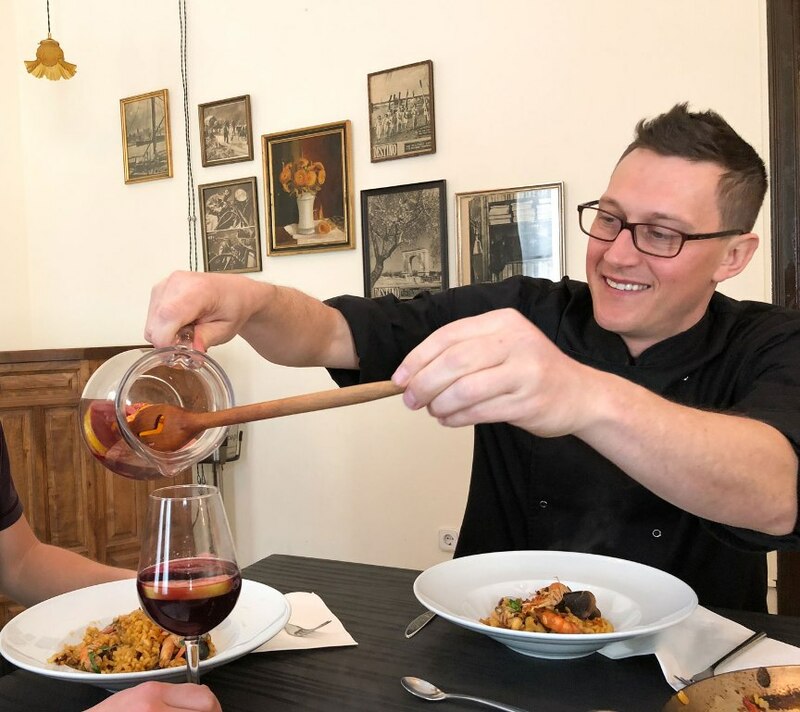 Josh opened up a cooking studio a few years ago to teach travelers about the region's amazing ingredients and to communicate what he loves about the area's local history and food culture through a shared food experience. Josh is also a percussionist in band and he will be happy to share his favorite local music recommendations (and even play them on the sound system)! In-home meal: (2-14 guests) The experience takes place at Josh’s cooking studio, which was built in 1892 and features original classic Barcelona tile flooring, windows and trim, along with a dining room and professional kitchen. It is located in the Eixample district of Barcelona, which is easy to reach via public transport and is very pedestrian-friendly, with wide streets and minimal inclines. 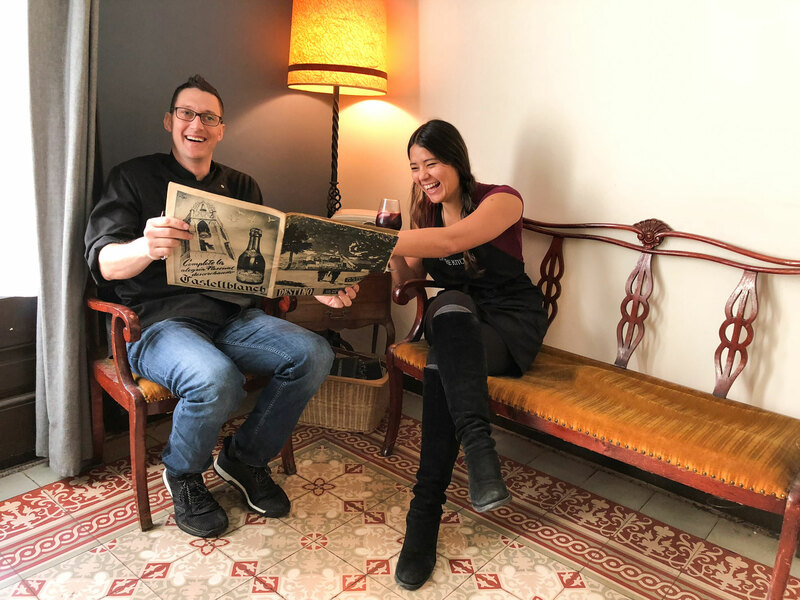 The place has a special and classic feel, decorated with magazines from the 1950s that people can leaf through while lounging in the vintage furniture. 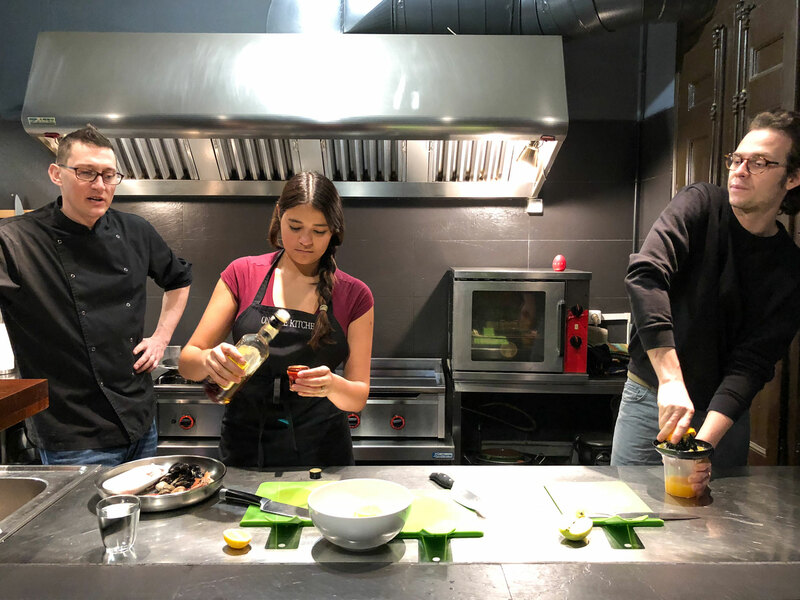 Enjoy your meal together with Josh in the dining room of his cooking studio while you talk about food, travel, music and Catalonia. 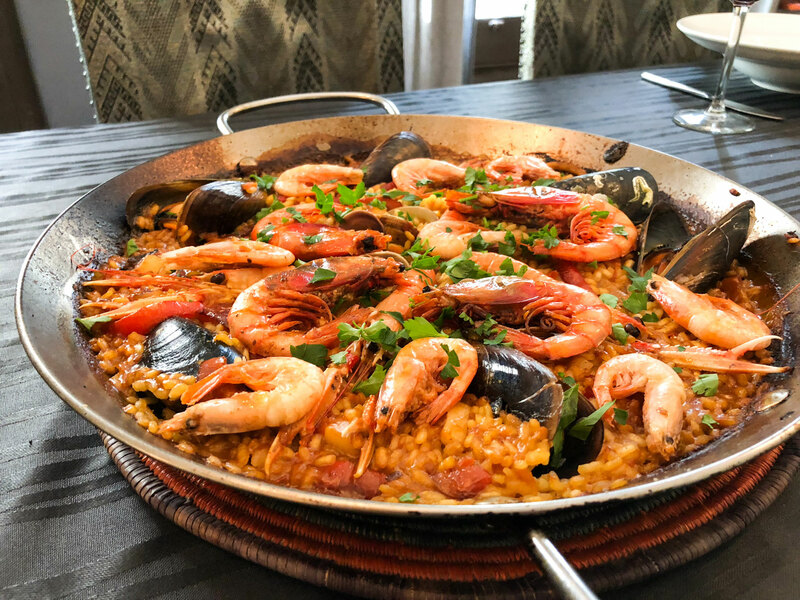 A few dishes that you might enjoy are suquet de peix (fish soup), esqueixada (salad), calamares encebollados (squids) or xistorra (special type of chorizo) and of course paella! Armed with information about Spanish food and culture, finish your meal with a tasty local dessert. Cooking experience: (2-14 guests) Josh’s cooking studio is an apartment converted into a cooking space with a modern, professional-grade kitchen and 1800s-style dining room. 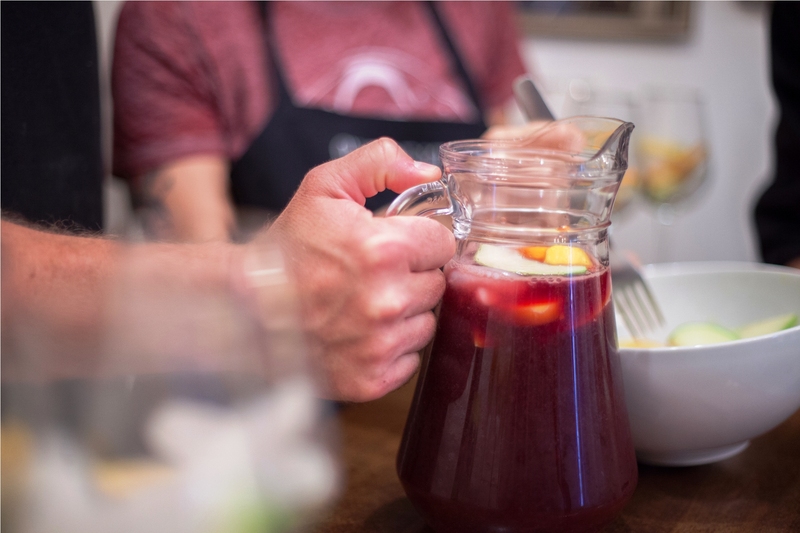 The class starts with chopping up fruit to prepare the sangria, the perfect way to start your experience! 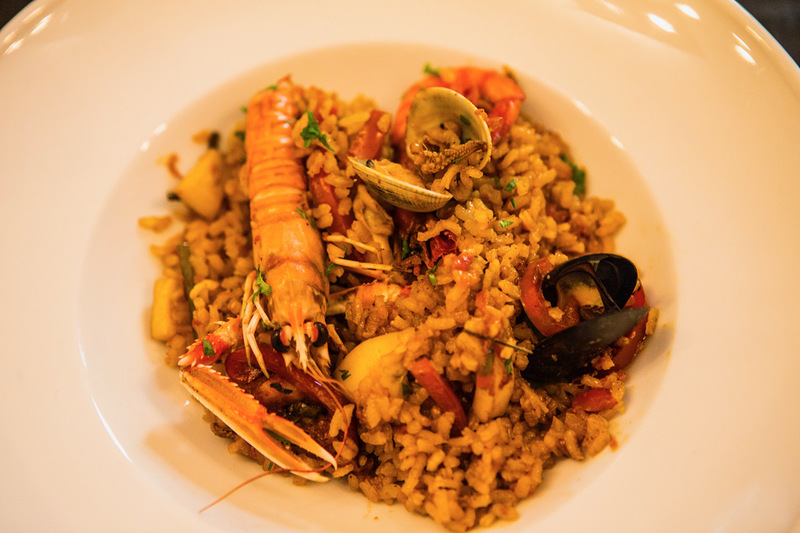 Then, Josh will take you through the step-by-step stages of preparing the seafood for your paella. Learn some of Josh's favorite basic culinary tips, like how to make flavorful fish stock using local rock fish. Expect a hands-on cooking class - Josh's philosophy is that you will learn to cook only by doing it! 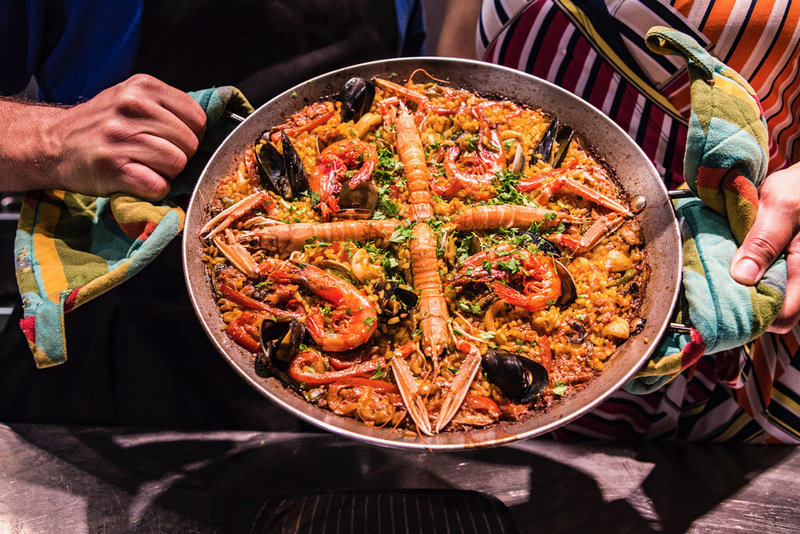 As Josh details the different ingredients and techniques of your dishes, you will prepare a traditional paella together. At the end of the class, Josh will offer you a chance to caramelize the sugar on the top of your own crema catlana dessert! 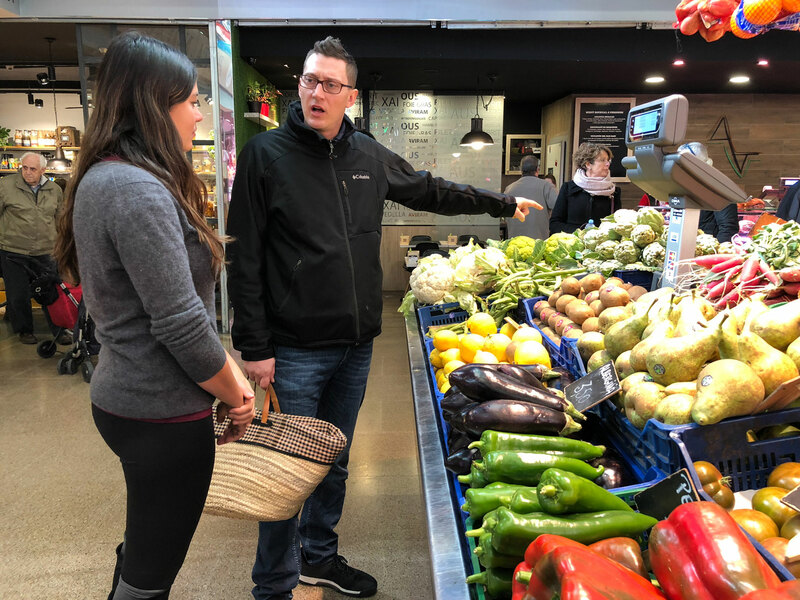 Market visit: (2-14 guests) Meet Josh at the entrance of the Mercat del Ninot and then walk back (a 10-minute walk) for a guided market tour. The market is newly renovated, modern, and clean. 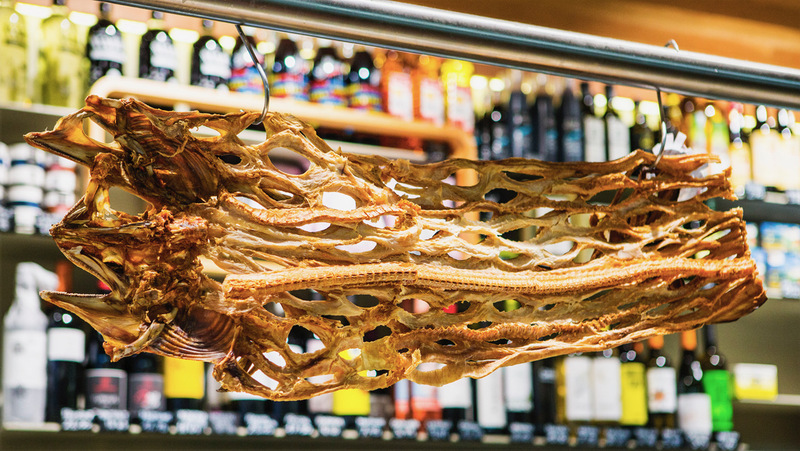 Start your tour with a taste of Spanish jamon at his favorite Catalan charcuterie and learn about how and where the best jamon is made. Josh is friends with many of the local vendors who sell very high quality, locally-sourced meats, fishes, cheeses, and produce. 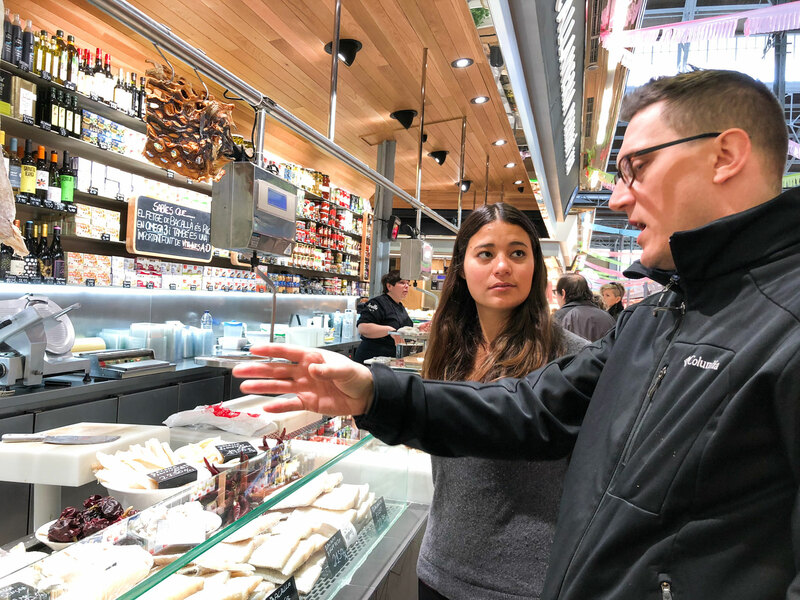 Walk around the market with Josh and stop at many of his favorite vendors everything from salt cod to specially-macerated olives. 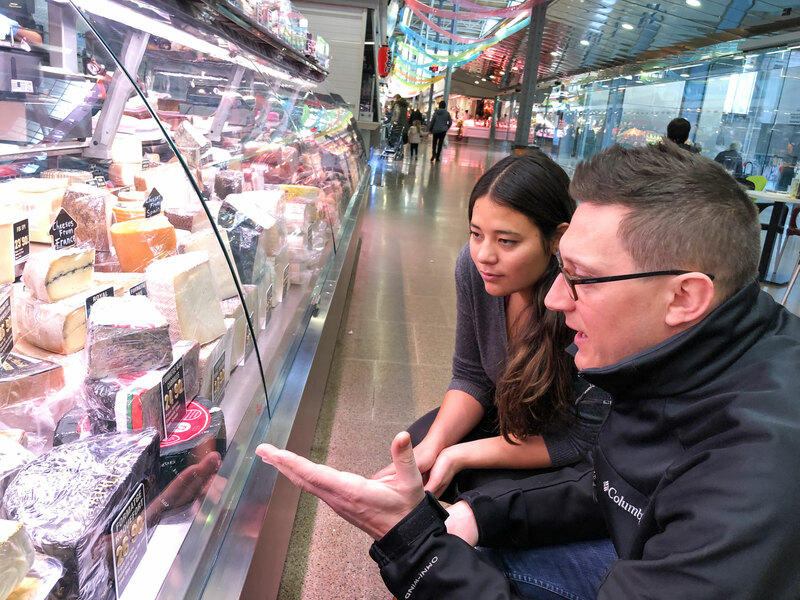 Josh will point out what differentiates the best meat from the rest and will give you recommendations for cheeses, cured meats and other delicacies. 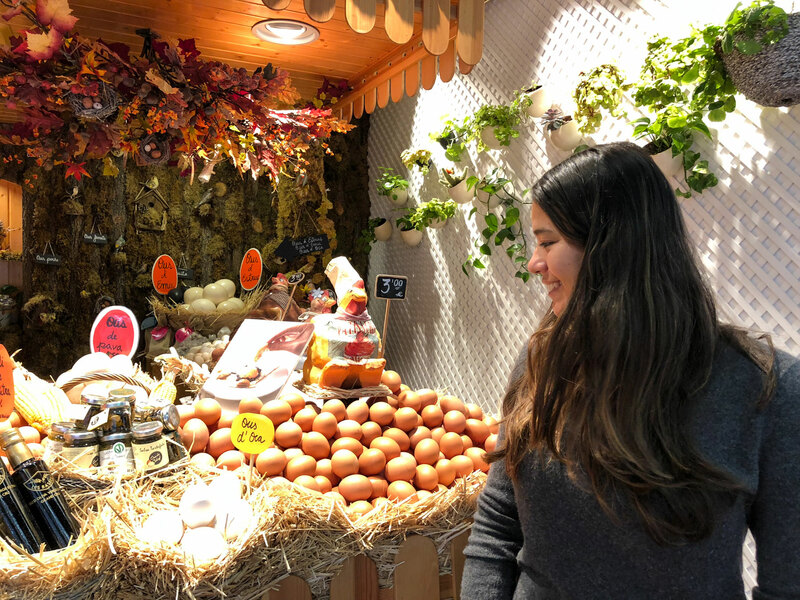 By the end of the tour you'll understand the difference between Catalonian and Spanish cultures and learn a lot about specialty ingredients that are such an important part of the local diet and culture; in particular, the cured acorn-fed Iberian ham. 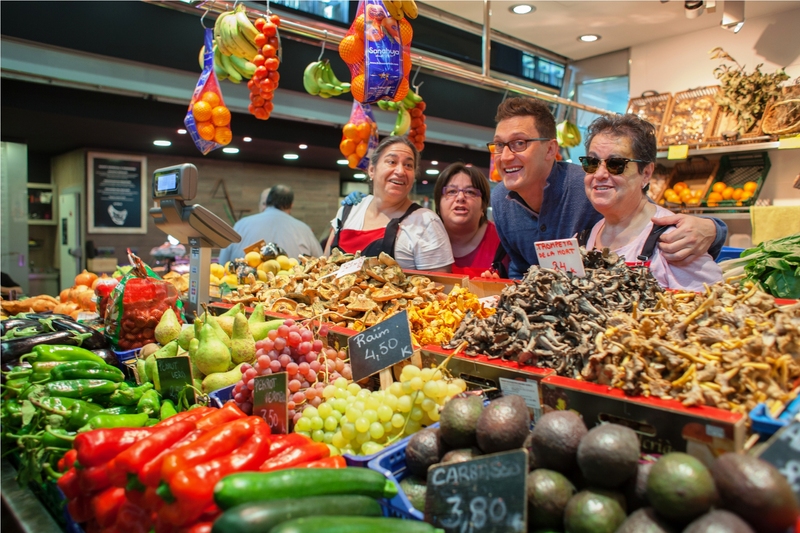 Your market tour will last roughly 40 minutes, during which you might purchase local ingredients like squid or red peppers for your paella from Josh’s favorite vendors. Return together to Josh's cooking studio with your basket of ingredients to begin your cooking lesson and meal. (Please note that the market is closed on Sundays so market tours are unavailable on this day). Notes: Andres, Josh's colleague and fellow chef will host alone on days when Josh is not available. The cooking studio is located one floor up from the ground floor. However, there is an alter-able accessible elevator for those who cannot take the stairs. Please also note, the market is shut on Sundays and if you would like to book a market experience, make sure you DO NOT book it on a Sunday. 1-2 glasses of Sangria are included in the price of every experience you book. 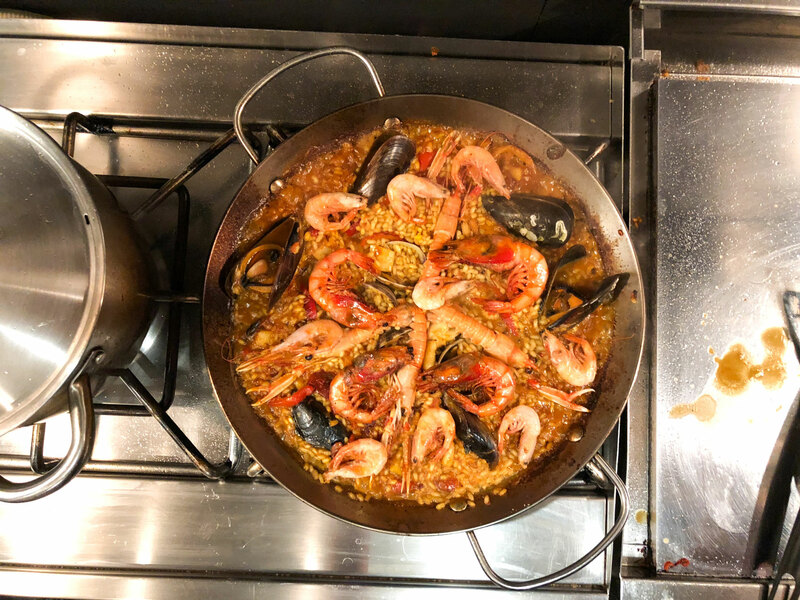 ​​Cooking seafood Paella with Josh was one of the highlights of our 8-day stay in Barcelona. After hitting the typical tourist sites, it was refreshing to get the perspective of a local who is so passionate about food. He was very educational and patient, and we had a really fun time. It was great to pick up lots of tacit information not included in the recipe. Lastly, we enjoyed the food in the dining room with Josh and talked about his music and Catalonia. We loved hearing about Josh’s stories living in Barcelona, and greatly appreciated his tips and local perspective. We had an overall amazing experience and would highly recommend this! !